Guards watching a convict-lease work gang in Birmingham. Between 1875 and 1928, the state and counties of Alabama leased pisoners to agriculture and industrial firms. 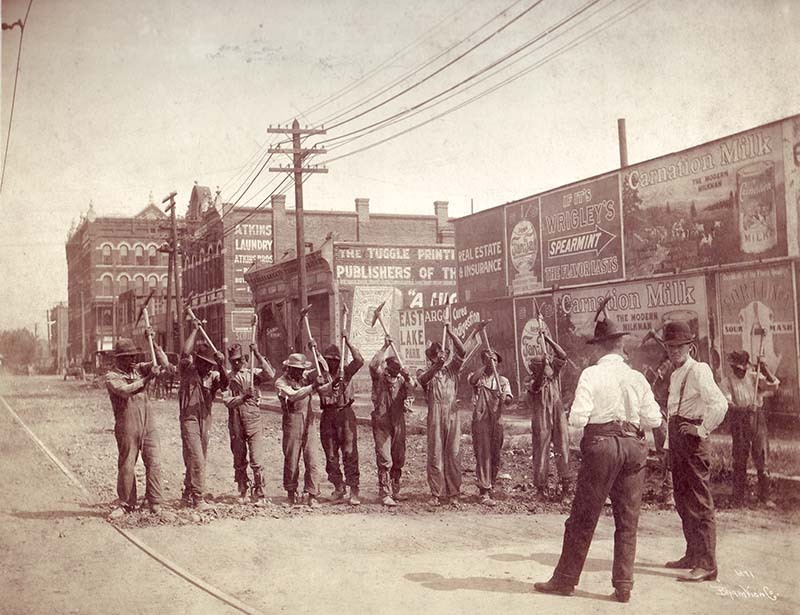 The Birmingham District was by far the most invested in the use of convicts for labor.